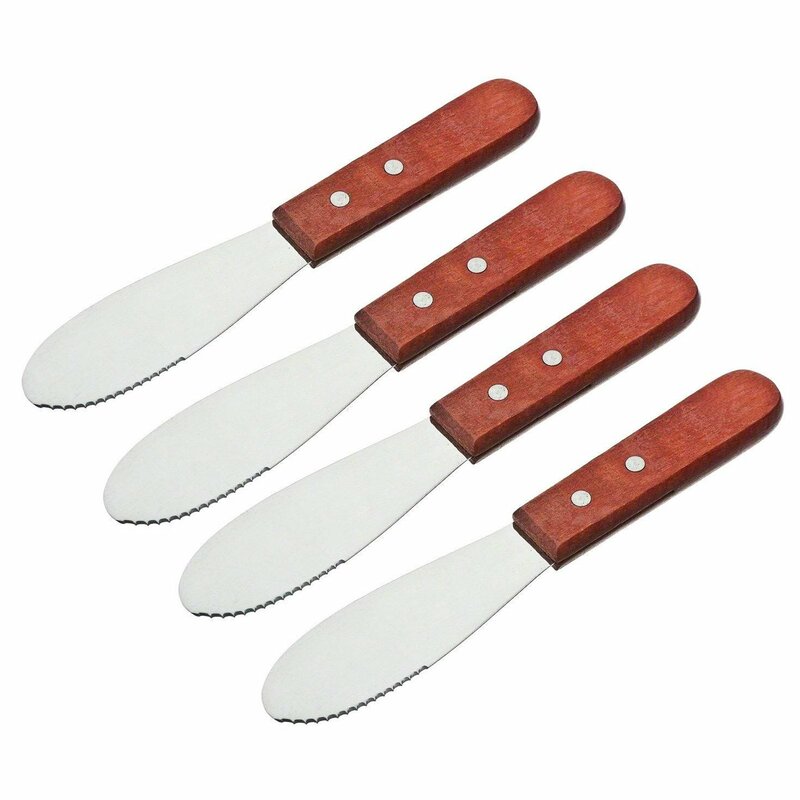 Home › Home and Kitchen › Adorox Wide Stainless Steel Spreader Kitchen Knives For Sandwiches Butter Che..
Adorox Wide Stainless Steel Spreader Kitchen Knives For Sandwiches Butter Che.. Perfect for spreading foods such as butter, cheese, etc! Comes in set of 4. Stainless steel with wooded grip. Size: small High quality spreader knives makes spreading so much easier. Dimensions:Overall length: 7.5" Blade length: 3.75" Blade width: 1.25" (at widest).